Kalle died on September 11, 2018 at the age of 68. Comments from Independent Living Institute (and The Swedish Disability Rights Federation) on the Draft General Comment nr 6 on article 5 of the Convention on the Rights of Persons with Disabilities: Equality and non-discrimination. I'm almost 74 years old and have been ILI's director since the organization's start in 1993. Contrary to what you might suspect, my role models have not been Robert Mugabe, Fidel Castro or similar hard-to-remove older gentlemen. For a long time, I have been looking for somebody willing and capable to succeed me as ILI's director, a position where you are expected to raise money for your own salary. Now, finally, I found the right one: Jamie Bolling. Adolf Ratzka wins ULOBA's 2017 Pride Award at the annual ULOBA Pride Parade in Oslo on June 17. In his acceptance speech Adof talked about how we can all be proud, as profoundly ordinary people who demand human and civil rights, rights that others take for given. 6 April 2017. 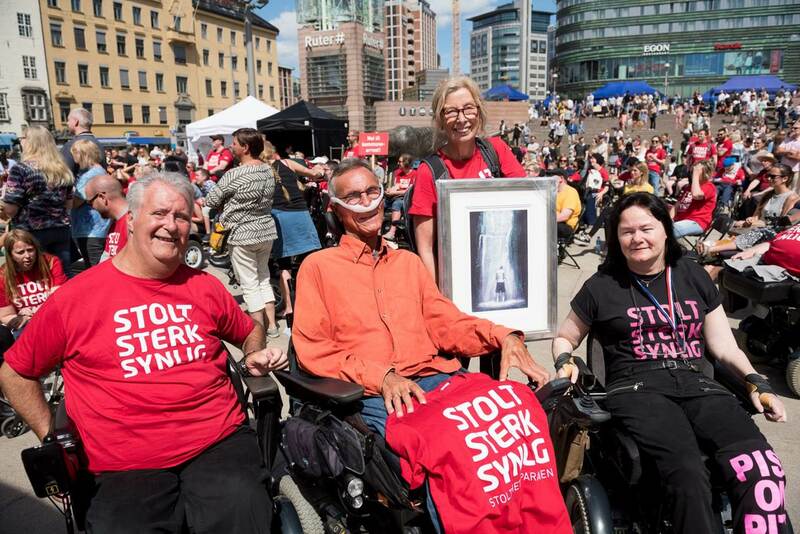 The Swedish Inheritance Fund yesterday approved funding of 8.4 million SEK to the Independent Living Institute project Disabled Refugees Welcome. The project Disabled Refugees Welcome will improve the reception of refugees who have disabillities and the coordination of services provided to refugees . The Swedish Inheritance Fund approved funding for the three year project "Using the law" (Med lagen som verktyg) at it's October 2015 board meeting. Co-applicants are Handikappförbunden HSO, Apply Human Rights, DHR, STIL, och Personskadeförbundet RTP. March 13 in Athens at a conference of the ruling party SYRIZA Adolf Ratzka recommended Independent Living and Personal Assistance as the guiding philosophy for countries in deep social and economic crisis. The Zero Project researches the status quo of the implementation of the UN Convention on the Rights of Persons with Disabilities (CRPD), this year with a focus on independent living and political participation. Data on 150 countries was collected, together with 50 Innovative Practices and Policies that can be considered as worldwide role models in their field.